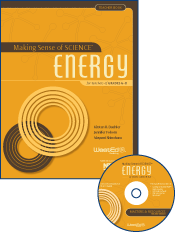 Making Sense of SCIENCE (MSS) professional development weaves science and literacy together. Students whose teachers participated in MSS training outperformed their peers by nearly 40 percent; gains were greatest for English language learners and low-performing students. Christina Romero used to launch each of her fifth-grade science units with the time-honored assignment of asking her students to memorize a vocabulary list related to the topic at hand. Trouble was, the task often turned out to be an exercise in futility. Many of her students were English language learners who may have had extra challenges with the vocabulary and definitions compared to some of the native-English speakers. But Romero also realized that even the students who were able to master the relevant vocabulary were failing to acquire deep science knowledge. That all changed when Romero joined her school’s science committee and began participating in Making Sense of SCIENCE (MSS), a professional development program created by WestEd that weaves science and literacy together. Refined over more than a decade of testing and input from teachers, scientists, and literacy specialists, MSS offers an array of professional development services and materials for K–8 science teachers to deepen their scientific knowledge and improve their pedagogy to better support their students. Romero, who has been teaching for 20 years, describes her MSS training as the “best professional development I’ve ever had.” She now focuses on having her students interact with science material — for example, during a recent unit on the microscope, students studied and used different kinds of lenses, generated a list of properties those lenses share, and developed their own definitions of “lens” — rather than just memorizing related vocabulary and facts. Several research studies conducted over the last few years confirm what Romero has seen in her own classroom. In the most rigorous study, funded by the National Science Foundation, researchers at the University of California at Berkeley and Heller Research Associates conducted a two-year, cluster-randomized trial of MSS at eight sites across the United States. The study involved 49 school districts, more than 260 elementary school teachers, and nearly 7,000 students. Their conclusion: students whose teachers had participated in MSS training outperformed their peers by nearly 40 percent. What’s more, the findings showed that MSS was closing the achievement gap, because the gains were greatest for English language learners and low-performing students. 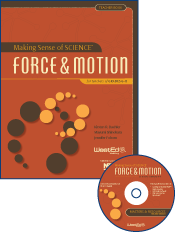 Kirsten Daehler, director of the Making Sense of SCIENCE project, estimates that last year several thousand teachers participated in MSS courses, which cover topics such as earth systems, force and motion, energy, genes and traits, and weather and climate. 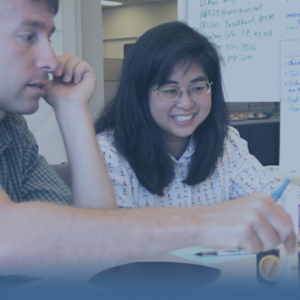 In each course, teachers work in small, collaborative groups to explore the science content and analyze real classroom dilemmas through case studies. MSS courses encourage teachers to be metacognitive about how they are engaging in science learning, and what they do when they read, write, and talk about science ideas. Metacognition, or thinking about how one thinks, has proven to be a valuable tool in boosting both adult learning and student achievement. MSS asks teachers to reflect on and discuss, for example, how they gained understanding of complex concepts, or how they unraveled the faulty logic that led them to a common misunderstanding. In addition to its attention on metacognition, MSS differs from other science professional development in that it has a strong focus on literacy and scientific language, making it particularly beneficial for teachers of English language learners and students struggling with reading comprehension. Daehler notes that the literacy components embedded throughout MSS help science teachers learn to integrate language and literacy instruction into their classrooms in ways that help their students make sense of tricky science concepts. Accordingly, MSS encourages teachers to reflect on their own approaches toward reading and communicating using the unique language of science. For instance, each MSS course includes Literacy Investigations, which help teachers understand and explain their processes for translating and making connections among scientific words, actions, images, and symbols. 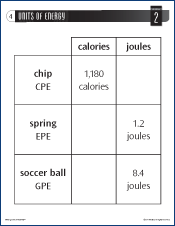 The MSS course on Matter, for example, prompts teachers to explore the reading strategies they use for comprehending periodic tables and chemical equations. 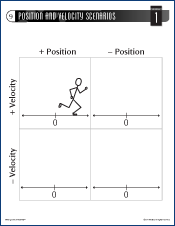 Such strategies might include chunking the data to analyze discrete parts (such as considering only the columns or rows of the periodic tables) or visualizing the overall data pattern of each layer (such as observing how atomic size generally increases as you move from top to bottom on periodic tables). Daehler is greatly encouraged by the research findings on MSS, which not only quantified impressive teacher and student gains in knowledge, but also confirmed that teachers maintain what they learn over time. Perhaps the most gratifying finding of all: evidence that non-native English speakers and low-performing students make the biggest gains. These days, Romero — now a trained MSS facilitator — clearly loves and is at ease teaching science. She recalls laughing one day last fall when a student asked her, “Why aren’t you a scientist?” She readily concedes, “I didn’t start out like this,” and admits to having been so intimidated by college chemistry that she dropped out of an engineering program.